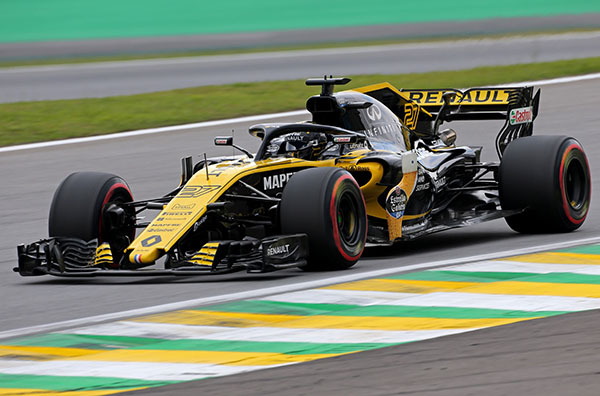 GF Machining Solutions has supplied Renault F1 Team with two bespoke five-axis machining centres for the accurate and safe machining of epoxy resin patterns, carbon fibre reinforced plastic (CFRP) parts and Rohacell foam core components. To cope with the different demands of machining composite materials, both machines were significantly modified and supplied with integrated, high-efficiency extraction systems, as well as fully enclosed and sealed working areas. The machine modifications were implemented seamlessly as part of the long-standing technical partnership agreement that exists between the two companies. The two Mikron HPM 1350U machines have been installed at Renault F1 Team’s manufacturing facility in Enstone, Oxfordshire, within the team’s expanding Composites Department. Both machines were acquired, initially, to machine high-precision patterns (made from epoxy resin tooling board), which are used to make moulds for CFRP body parts. However, owing to the machines’ versatility and performance attributes, the HPM 1350Us are also being used (now) to machine carbon inserts, and Rohacell foam (used as a structural filler to strengthen CFRP parts), as well as a range of jigs and fixtures. The decision to invest in the two Mikron HPM 1350U machines was made as a direct result of accuracy issues being experienced in Renault F1 Team’s Composites Department, and the inability of existing equipment to meet increasingly stringent part precision requirements. Explains Renault F1 Team’s composites manager Keith Dunsby: “We are committed to continuous improvement and striving for excellence. So, when it became apparent to us in 2016 that two of our machines were not able to meet the accuracy and repeatability requirements demanded by our design engineers, we acted quickly to rectify the situation. The working envelope of the HPM 1350U machines (1350 x 1150 x 700 mm) enables Renault F1 Team to machine a majority (up to 60%) of these parts. For larger components, like the car chassis itself or a rear crash structure, Renault F1 Team relies on big gantry-type machines with a 4 x 3 m working area. Renault F1 Team has a long-established technical partnership agreement with GF Machining Solutions. 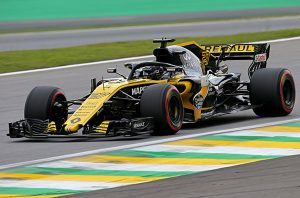 The partnership has been instrumental in Renault F1 Team investing, over recent years, in a number of AgieCharmilles wire and die-sink EDM machines, and Mikron five-axis machining centres. 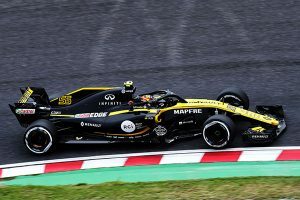 To address the accuracy issues being experienced in the Composites Department it was therefore natural that Renault F1 Team first approached GF Machining Solutions. on the table of the machines. The modifications to the HPM 1350U machines also included the removal of the swarf conveyors, enclosing the Y-axes and providing additional guarding to prevent dust ingress and escape. 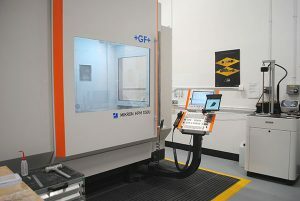 A final modification on both machines was the inclusion and integration of the more advanced Renishaw RMP600 – a compact workpiece probing system featuring radio signal transmission which, working in conjunction with Renault F1 Team’s MSP software, ensures improved process reliability, faster and more accurate set-ups, and reduced scrap. Carlos Sainz Jr (ESP) Renault Sport F1 Team RS18. Japanese Grand Prix, Friday 5th October 2018. Suzuka, Japan. The HPM 1350U machines’ arrival has enabled the Composites Department to improve its own productivity, as well as having a direct and positive impact on Renault F1 Team’s performance. The team finished fourth in the 2018 season’s Constructors’ Championship – two places higher than in 2017. “Our HPM 1350U machines are reliable high-performance machines,” concludes Dunsby. “They are equipped with high-torque spindles that enable us to ramp-up feed rates and achieve big depths of cut which, as a result, have helped us improve our productivity levels, reduce part cycle times and meet tight lead times.